It’s a fact that nobody likes cracked heels whether it’s of his own or of others. For some it’s a seasonal problem while for some it’s an all season trouble. However, it is not a very serious health issue but still it creates trouble, people having cracked heels often avoids to visit public places where one needs to put out his/her shoes. Women in particular are very conscious about their beauty and consider cracked heels something to be ashamed of. So, what is it that causes cracked heels? The answer is not limited to any specific reason but there are many reasons that may cause cracked heels such as seasonal change, allergy, skin infections, less use of shoes, improper shoes, carelessness towards hygiene, too long walking or working on foot for long hours and having dry skin. Skin infections like eczema and athlete’s foot may also leads to cracked heels as well. There are a huge selection of ointments, creams and oils available in drug stores for cracked heels however, not all of them proved to be effective for everyone. Every person has his own physical capability and skin type, moreover the causes of cracked heels differs from person to person as well and therefore it is not necessary that an ointment that works for a person may work for others too. However, there are many home and natural remedies that proved to be effective for almost everyone. Some of them are discussed here so you can use them to get rid of cracked heels. Watermelon is one of the best fruits for healthy skin, containing approximately 92% of water it not only fulfills your water intake but also helps you to have a healthy skin. It is a super anti-oxidant and also very rich in Vitamins and Minerals which makes it a perfectly health friendly fruit. Moreover, it also contains anti aging capabilities as well. 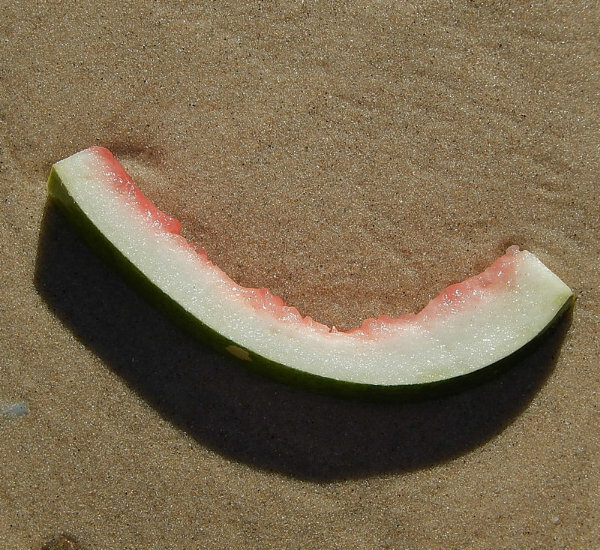 The best way to use watermelon to get rid of cracked heels is to first peel it out and then then rub the peel over the cracked heels softly and thoroughly. Rub the cracked portion of your heels gently with the watermelon peels and then wash it thoroughly with warm water. Repeat it 2-3 times a week to see it effect. Water is the source of life on earth and a great portion of our body too is made up of water. Dry skin is also a cause of cracked heels and keeping yourself properly hydrated may help you in overcoming the problem of cracked heels as well. Similarly, warm water is very effective in removing dead skins around the cracked heels as well. To get rid of cracked heels pour your feet in Luke warm water of 15-20 mints and rub the cracked portion with a pumice stone or cotton cloth gently to remove the dead skin. Repeat this 1-2 times daily and you will see its effectiveness in getting rid of cracked heels. 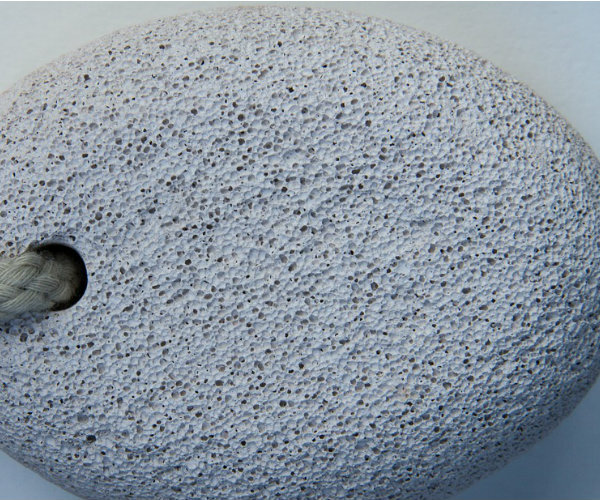 Pumice Stone is another simple and effective solution for cracked heels; you can get it from any grocery store or super market. It is very effective in removing dead skin from your heels and at the same time making your skin smooth. 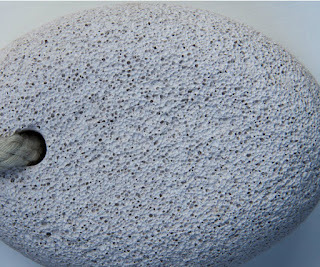 Pumice stone is actually made when water mixes up with warm lava and get hardened with time. It contains small porous holes which effectively removes the dead skin from the heels and softens it. The best way to use Pumice Stone on cracked heels is to first soak it in water and at the same time pour your heels into the luke warm water to get it softened. Rub the pumice stone gently over the soaked out heels to remove the dead skin and giving a smooth look to your heels. Repeat the procedure once in every 2-3 days for fast relief. Banana peel is another great remedy for getting rid of cracked heels. It is very simple yet very effective in removing the dead skin from the cracked heels and making it smooth. In order to use it, mesh some ripe bananas and add a few drops of rose water into it to make paste, apply this paste thoroughly over the cracked heels and surrounding areas and leave it for few minutes. After 10-15 minutes wash your feet with warm water and wipe it with a clean cotton cloth. You can use this method once a day to see its effectiveness. Your kitchen is the best place to look out for any type of home remedies; you can find plenty of things in your kitchen that may prove effective in various minor health problems. You can find solution for your cracked heels in your kitchen itself as well. Lemon is one of the most useful kitchen items when it comes to home remedies, it can help greatly in getting rid of cracked heels as well. For using lemon to cure cracked heels just cut it in two and rub it gently over your heels and then leave them for few minutes. Clean your feet well with warm water. You can also use lemon juice in place of raw lemon as well. I have tried several medicated crèmes to cure cracked heels, but they provide temporary relief. I am surely going to try these tips to see the results.